Many of New Zealand’s classical singers and musicians have pursued their careers overseas, mainly in Europe. However, some have managed to have successful careers while living in their home country. Successful New Zealand opera singers have usually based themselves overseas, mainly in Europe. Two of the earliest operatic stars were sopranos Frances Alda and Rosina Buckman, who began their careers in the early 1900s. They sang mainly overseas, but both toured New Zealand in 1922. From the 1920s a steady stream of New Zealand opera singers had successful international careers. Donald McIntyre and Kiri Te Kanawa are among the most famous New Zealanders. McIntyre, who began his career in the 1960s, is best known for singing in operas by Richard Wagner. Te Kanawa won the Mobil Song Quest in 1965 and went on to a stellar international career. In the 2000s prominent singers internationally included Simon O’Neill, Jonathan Lemalu, Martin Snell and Paul Whelan. Pianists Richard Farrell and Colin Horsley, and organist Gillian Weir, had international careers from the mid-20th century. Important New Zealand conductors have included Alfred Hill from the 1890s, and Warwick Braithwaite and John Matheson in the mid-20th century. In the 1930s and 1940s several musicians came to New Zealand as refugees from Nazism and the Second World War, including conductor Georg Tintner and pianist Lili Kraus. After the war some New Zealand musicians managed to have successful careers while mainly living in New Zealand, including opera singer Malvina Major and pianist Michael Houstoun. A number of distinguished pianists, including Janetta McStay, Maurice Till and Stephen de Pledge, have taught music at universities. Some musicians have played in orchestras both in New Zealand and overseas. These included violinists Vincent Aspey and Alan Loveday. 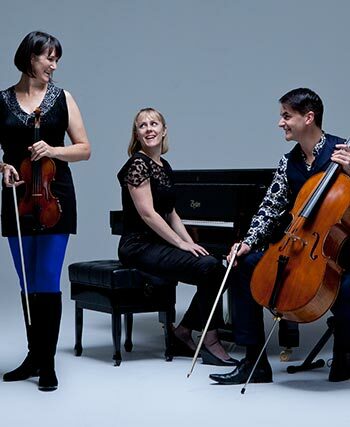 New Zealand music ensembles in the 2000s included the New Zealand String Quartet and the NZTrio.